With local, compassionate, prompt and experienced biohazard remediation technicians, Brisbane Crime Scene Cleaning is the leading crime scene, biohazard and forensic cleaning provider in the Northern Rivers and Northern New South Wales region. Our Biohazard and Crime Scene Cleaning team are experts in their field, able to remove any trace of contamination, biological waste or toxic chemicals resulting from a crime scene, meth lab, sewage spill or mould growth. We appreciate the nature of our job is often a result of a highly distressing and traumatic period, and offer a sympathetic and compassionate service, maintaining our reputable standard of service by offering guidance and support through these trying times. 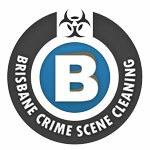 Brisbane Crime Scene Cleaning pride ourselves on providing the superior service we are known for. Brisbane Crime Scene Cleaning provides trained and highly skilled technicians to deliver specialised Forensic and Biohazard Cleaning Services in Northern Rivers locations including Tweed Heads, Lismore, Ballina, Yamba, Grafton, Murwillumbah, Byron Bay, Iluka and Casino. NORTHERN RIVERS CRIME SCENE: When encountering an unexpected crime scene in your home, it can be a stressful and highly emotional experience. The feelings are compounded by the image of events that have taken place that can be ingrained in your memories forever and can cause further psychological and emotional turmoil by attempting to clean the Crime Scene yourself. FORENSIC CLEANING NORTHERN RIVERS: Don’t risk disease, emotional trauma or physical trauma by attempting to cleaning a Forensic scene yourself. Our team of highly specialised Forensic Cleaning specialists are available to deliver prompt, superior Forensic Cleaning services for your piece of mind. NORTHERN RIVERS UNATTENDED DEATH CLEAN UP: Considering the difficult nature of an unattended death clean-up including the distressing nature of decomposition and the potential health hazards associated, remedying the situation is a job for professional and experienced trauma scene cleaners. 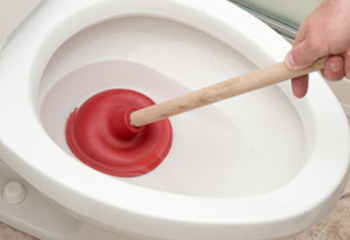 BIOHAZARD CLEANING NORTHERN RIVERS: Biohazard cleaning involves the clean up and remediation of bio-hazardous and infectious waste. From Crime Scenes and unattended deaths to raw sewage or grey water decontamination. Blood, body fluid, faeces, gross filth and hoarders all fall under biohazard clean-ups. 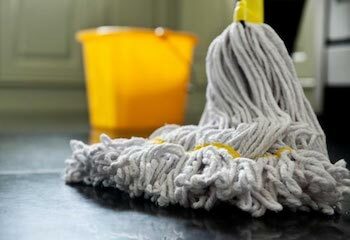 NORTHERN RIVERS GROSS FILTH & SQUALLOR CLEANING: Brisbane Crime Scene Cleaners have trained and experienced Gross Filth and Squatters Cleaning experts to remediate and restore homes, apartments and commercial properties to a safe, non-bio hazardous condition. FINGERPRINT DUST REMOVAL NORTHERN RIVERS: In many criminal investigations, police will use fingerprint dust and blue luminol to identify areas where fingerprints and biological evidence is present. Fingerprint dust is highly toxic and can be difficult to clean, the correct PPE should always be worn when removing fingerprint dust. NORTHERN RIVERS SHARPS, NEEDLES & SYRINGE SWEEPS: Our comprehensive sharps and needle clean-up protocol includes conducting an extensive search guaranteeing all needles are removed from a defined area. Needles can be difficult to find and hidden in cracks and hard to reach areas, wearing the proper PPE including needle proof gloves in essential when performing a needle clean up job. BLOOD CLEAN UP NORTHERN RIVERS: Unlike a general clean, Brisbane Crime Scene Cleaners approach a Blood Clean Up with a full, scientific process to contain, decontaminate and remediate all bloodstains, and potential blood borne pathogens from homes and properties. NORTHERN RIVERS HOARDING CLEAN UPS: Cleaning and remedying a hoarders home can be an overwhelming task for the hoarder and their family and loved ones. When undertaking a hoarder clean up, we are compassionate to the hoarder and understand the psychological and physical pain this process can have. 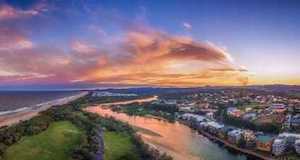 METH LAB CLEANING NORTHERN RIVERS: Dealing with the clean up of a meth lab is difficult without the proper training, chemicals and specialised equipment. At BTCSC we specialise in the clean up and remediation of a clandestine drug labs from pre-testing to a clearance certificate being issued. NORTHERN RIVERS SUICIDE CLEAN UPS: Not only is the passing of a friend or family member to suicide emotionally devastating, it is also hazardous for family members or the public due to the number of possible pathogens, diseases and bio hazardous risks on a molecular level. Arrange your suicide clean up today with Brisbane Crime Scene Cleaning. NORTHERN RIVERS MOULD REMEDIATION: Whether you’re a homeowner or property manager, the well being of your family and tenants is paramount. Our trusted and experienced team of Mound Removal remediation experts can assist in protecting you property from persistent and detrimental mould infection and associated odour. FIRE DAMAGE RESTORATION NORTHERN RIVERS: Fire is unpredictable; spreads in seconds and can decimate a home within minutes. Improper cleaning can result in permanent discolouration and damage. 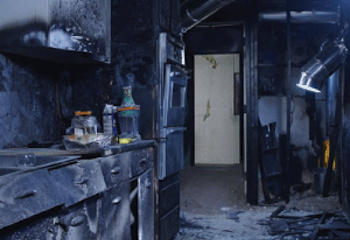 Brisbane Crime Scene Cleaning technicians offer a rapid and cost-effective solutions for all properties affected by fire or smoke damage. SEWAGE CLEAN UPS NORTHERN RIVERS: Sewage spills contain countless bacteria, viruses, parasites and fungi that can cause serious illness, even death. The possible danger of noxious, asphyxiating and flammable gasses within a confined space can be seriously hazardous to your home or workplace and can have disastrous consequences to the environment, and local water supply, if not rectified immediately. NORTHERN RIVERS WATER DAMAGE & FLOOD RESTORATION: Brisbane Crime Scene Cleaning technicians understand the importance of dealing with the damage and provide a fast and proficient Water Damage and Restoration solution to both residential and commercial owners. ODOUR REMOVAL NORTHERN RIVERS: Our specialised Odour Removal technicians utilise specialised commercial equipment to completely remove offending odours and their sources for a fresh and habitable outcome.